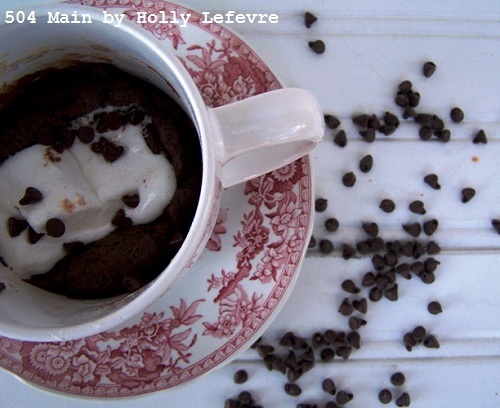 504 Main by Holly Lefevre: Molten Marshmallow Fudge Cake in a Mug! 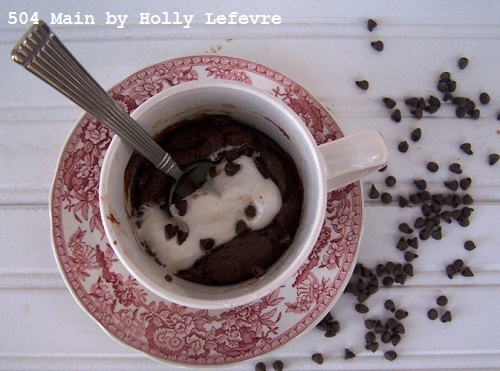 You can make cookies and cakes in a cup/mug/whatever! but had forgotten about it until recently. 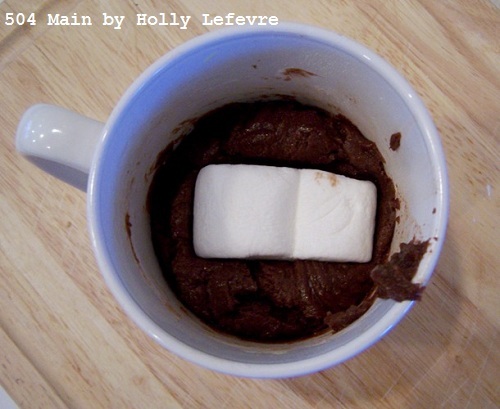 so I set out to Google my way into a "baking cakes in a mug frenzy." in a mug...in amazing single serving, hot and fresh when I want it size! Now that I have discovered this, I think I may be in BIG trouble! And doing a lot of 30 Day Shredding! 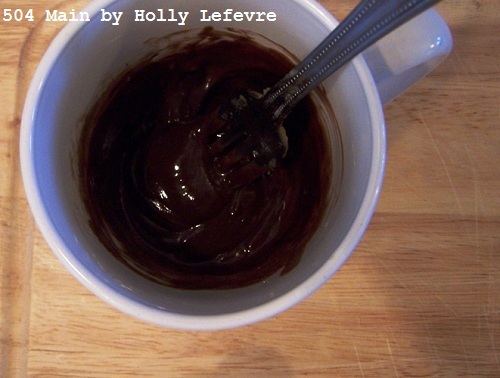 2 Tablespoon chocolate chips - I used mini chocolate chips. You can use regular size chips too. Place butter in a cup and melt it in the microwave, about 30 seconds. Add chocolate chips; stir to melt. If the chips do not melt (I stirred for about 30 seconds) cook in microwave for about 10 seconds, and stir again, until melted. Watch out so you do not burn the chocolate. Add flour; mix. It will be thick! 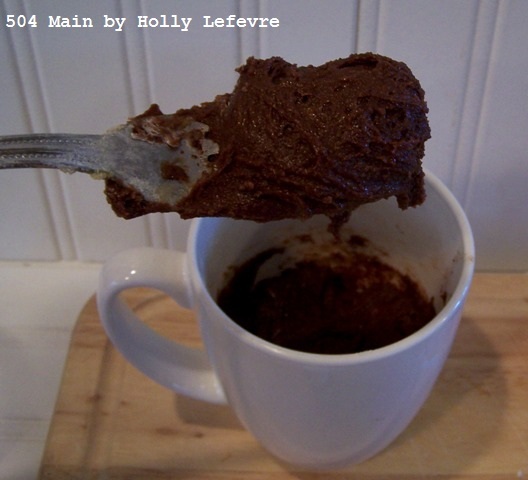 Place in the microwave and cook for 40 seconds. Then remove the mug and place (stick) the marshmallow right in the center of the cake. Cook it for 10 more seconds; checked my marshmallow; and then cooked for another 10 seconds...for a total of about 60 seconds...in my microwave. Cooking times vary with microwaves. DO NOT OVERCOOK - play with the time when you first make this. If you overcook it the marshmallow, it will be sticky and tough. Of course you can skip the marshmallow...but why would you? The first few times you make this...just check as it cooks until you know your microwave. 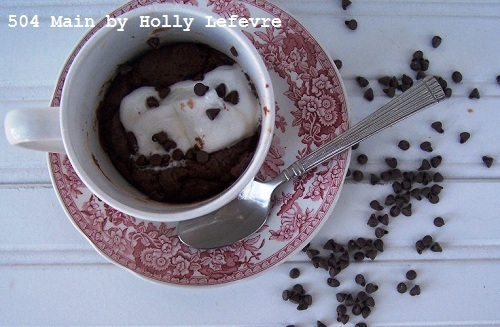 When it is done...it is a hot molten fudgey cake prepared just for you! YUM! Watch out you will be hooked! Mouth is watering! You know I'm totally going to expect one of these next time I'm over for coffee, right? 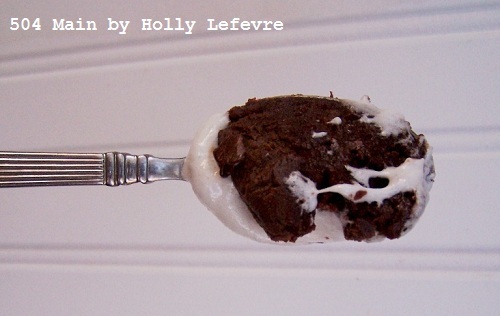 You said molten, marshmallow, and chocolate all in the same sentence...not fair!!! This looks divine!!! 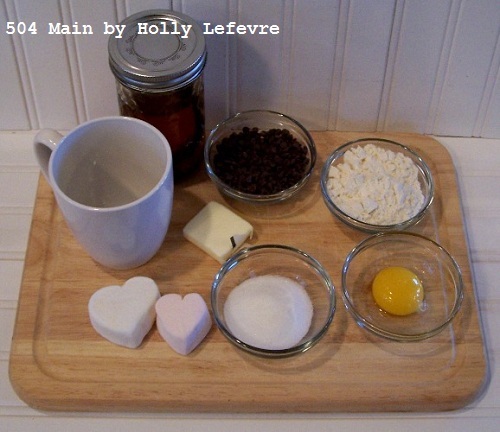 Ok, Holley, this looks so scrumptious and just too easy, because I will want to be making me one of these every day or so and that will not do. No, I haven't tried it before, though I saw something similar on t v once. I'm printing it out right away. OMG...I should NOT be reading this first thing in the morning....it looks fantastic and so wonderfully chocolate!! You are now my online best friend.